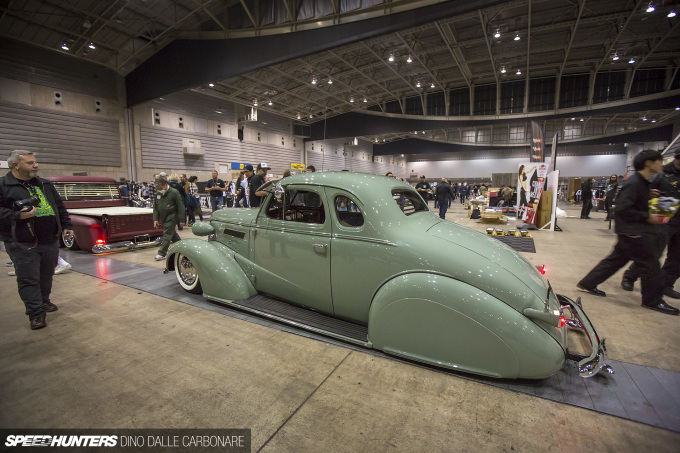 Twenty five years is a long time to be running a car show, but that’s a milestone that Mooneyes Japan celebrated over the weekend with the 2016 edition of its famed Hot Rod Custom Show in Yokohama. 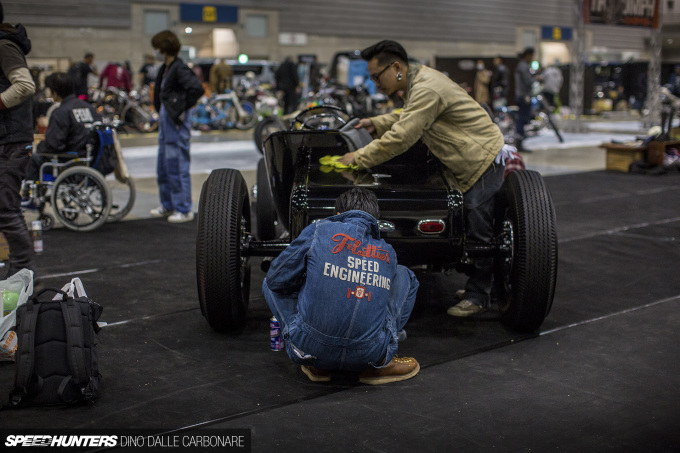 What began in 1991 as a small event has evolved into something very special, a central gathering point for everyone involved in Japanese custom car culture. It may have grown in size significantly over the years, but the friendly atmosphere remains. But there was a noticeably different aspect to the event this year, it was all very quiet. 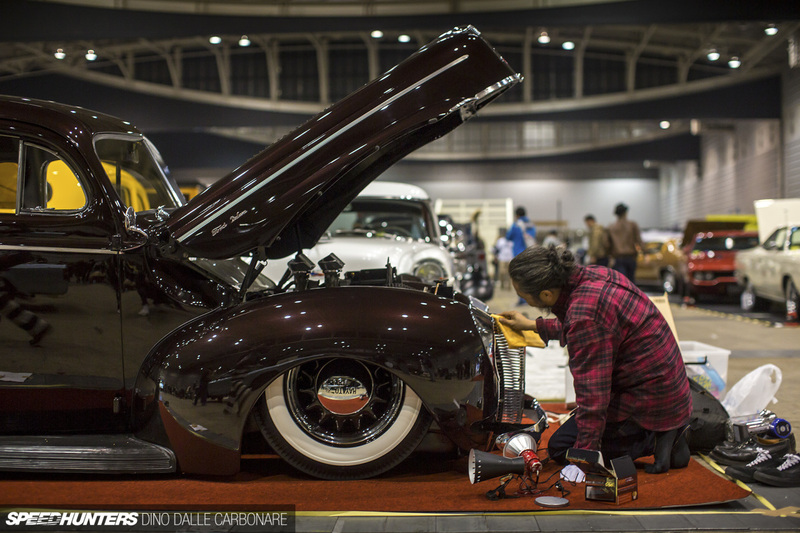 That’s something you’d not normally associate with hot rods, lowriders and muscle cars, but Mooneyes had no choice but to keep a real handle on the noise as the event is constantly under threat of being closed down. It’s a typical problem here Japan where everything is so tightly packed together and the lines between business and residential zones are blurred. 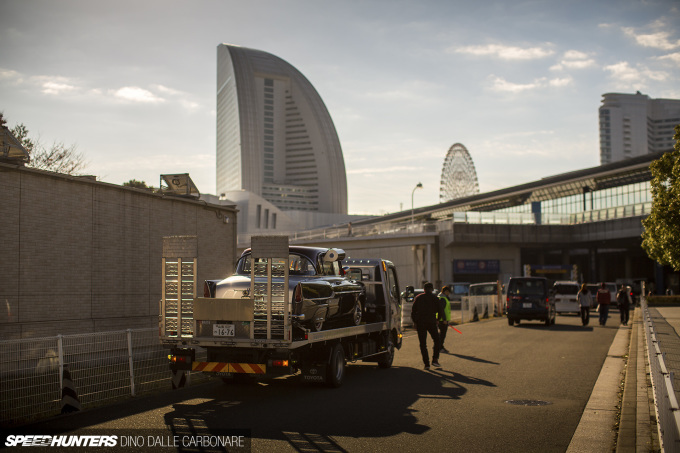 All Mooneyes asked for was understanding; the company ran a campaign promising Minatomirai district residents that it would do its best to curb noise during roll-in and roll-out and asking that they please respect the culture. 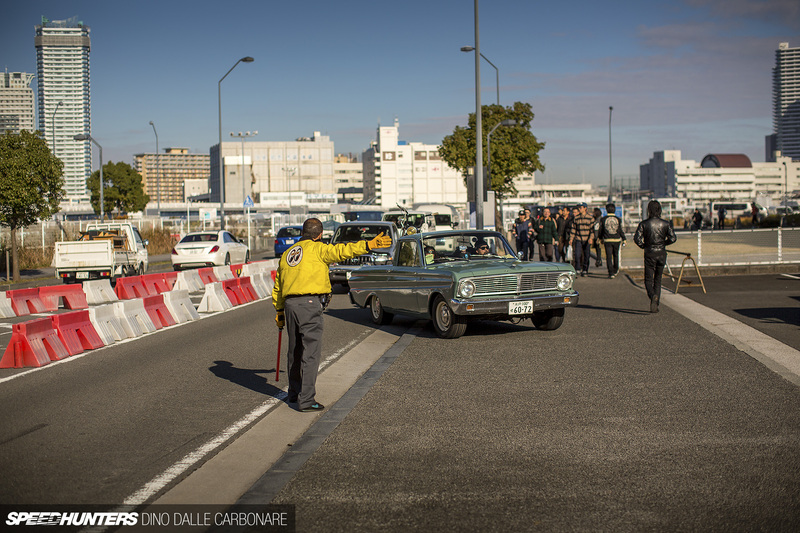 Mooneyes really stepped up on its side too, as there were hardly any cars or bikes passing in front of the Pacifico Yokohama. Traffic was diverted through the less populated side streets and cars entered the convention center through a different access point than they have in the past. Hopefully the nearby residents were satisfied! The Saturday roll-in has always been the day I’ve favored since I first covered the show, initially because the Nismo Festival was held on the very same day and I couldn’t be in two places at the same time. The two events are now on different days, but I still prefer heading along to the setup of the Hot Rod Custom Show as it allows me to capture a wider range of images. 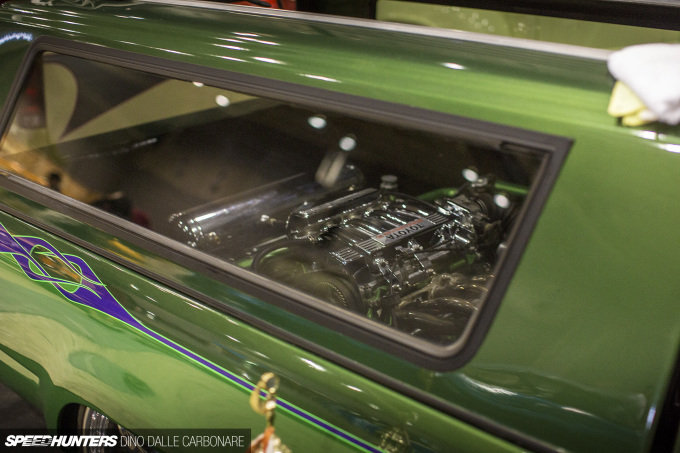 Plus, nothing compares to seeing these cars drive in and move around under their own power. It adds a dimension to the show that I don’t think I’ll ever be able to give up. Mooneyes really pack out the Pacifico too. There’s no physical space to make it bigger, which means it gets very crowded and subsequently a nightmare to shoot on the main day. 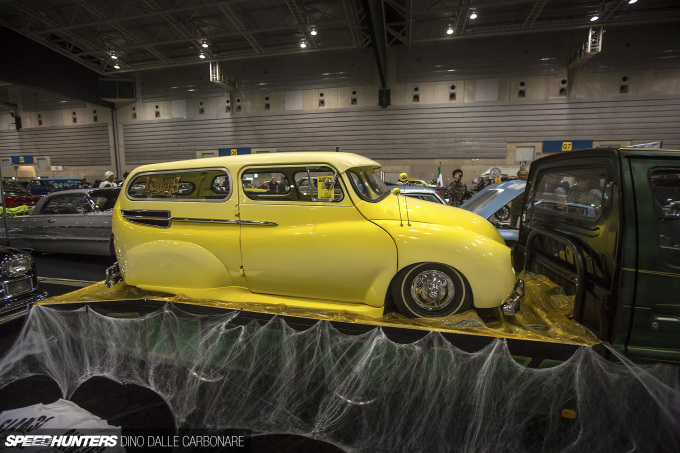 But Mooneyes definitely wouldn’t have it any other way. 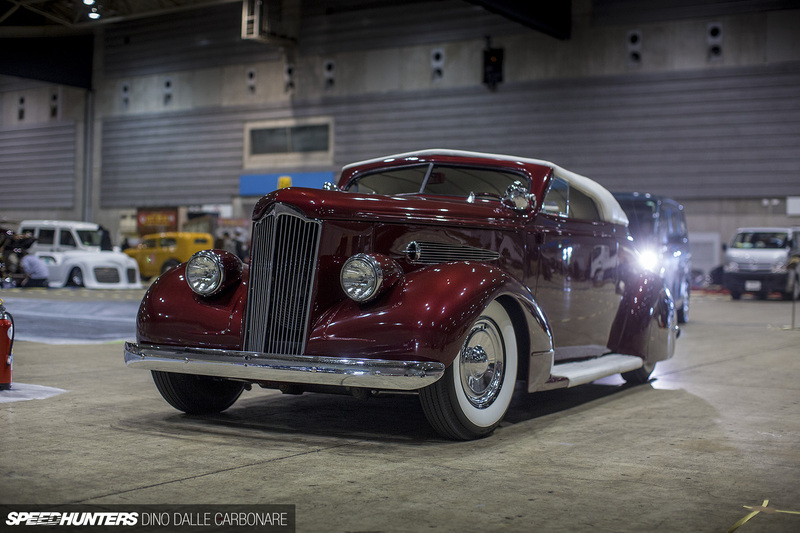 This show is all about driving the scene forwards; it’s the place where new cars and bikes from Japan’s leading custom car builders make their debuts. For everything else there’s the Street Car Nationals in spring, which is about four times the size. 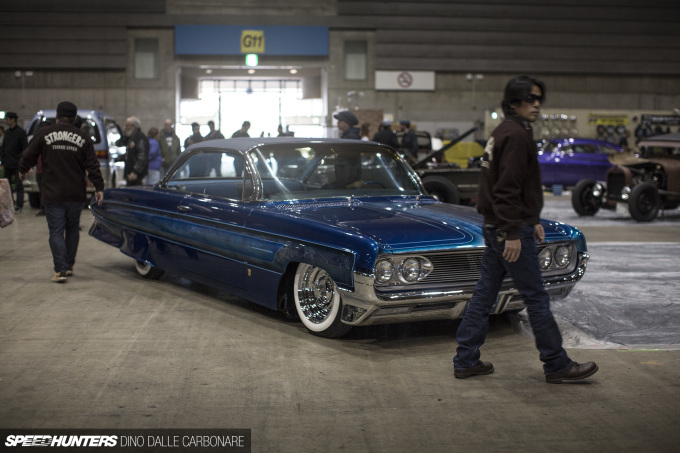 It doesn’t matter which automotive sub-genre you’re talking about, Japan does car culture like nobody else. Innovation mixed with authenticity, topped off with bucketfuls of respect ensures that, and the Hot Rod Custom Show embodies it to the fullest. It still blows me away that hidden away from the normality of everyday life, Japan is home to so many gems. But it’s a total reflection of Japanese society, because the vast majority of people are bound by rules from the start to the end of the working week. But on the weekend it all changes; the oppressive nature of modern day Japan is momentarily put to the side for 48 hours, revealing all of its color and character. I love it when builders stick to genuine styles but still play around with the detail to turn a great car into something really special. 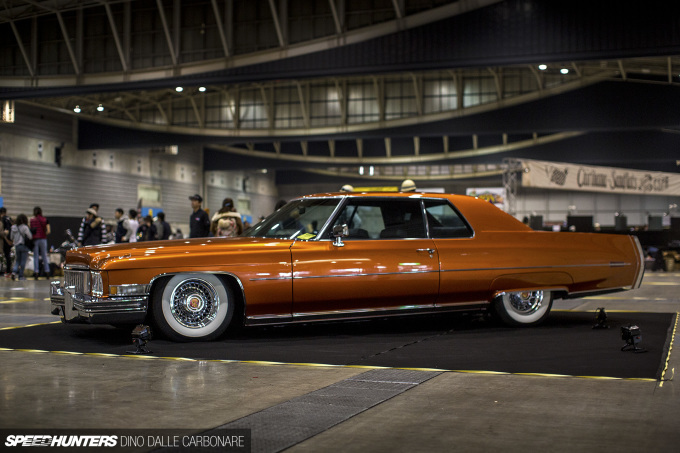 This stunning Cadillac Calais Coupe is a prime example; it’s simple but beautifully executed. Not too far away was the Japanese interpretation of a ’70s Caddy, namely the Mitsubishi Debonair. 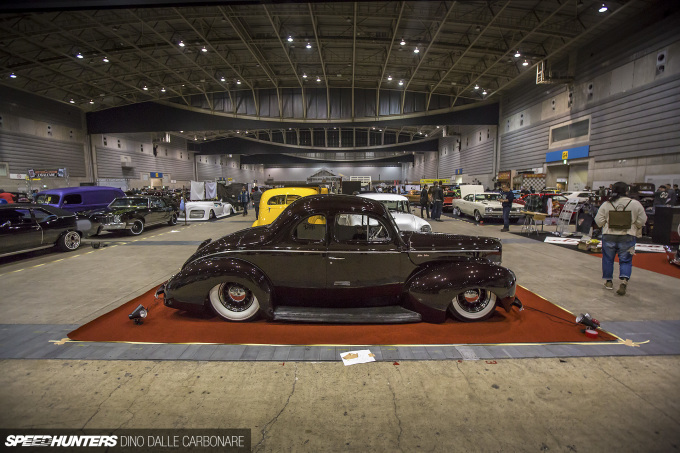 This is a car we’ve seen plenty of times before at Mooneyes events, but one that always impresses for its unique look and constant evolution. The Strongers Kar Klub from Aichi Prefecture always turn up to this event with a shop-stopping build, and this year’s entry was a 1961 Oldsmobile, which grabbed the Best Custom award. From its intricate paintwork to the way the interior and hydraulic system was presented, the execution was nothing short of mind-blowing. One way that Mooneyes keeps this event fresh, despite using the same location, is through themed display areas. Every year a new theme sees some of the best cars Japan has created grouped together, and having you car chosen to be a part of the special display is a real honor. It’s also a way of encouraging car builders and owners to push the boundaries in the hope of one day making the selection. And of course the variety keeps everyone entertained. While I’ve never had a lot to do with the Japanese custom pickup truck scene, I always like to take a look at what’s on display and how owners are stepping things up a notch, be it through crazy engine swaps and unique chassis and suspension work. 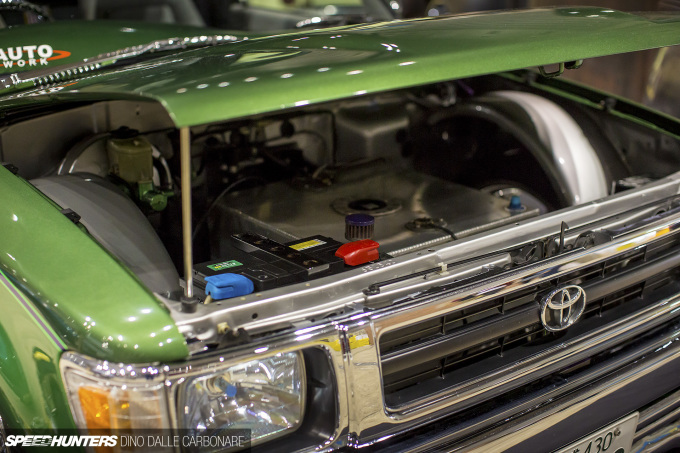 For 2016 it was this Hilux truck that made me do a double take, as looking under the hood revealed a fuel tank rather than an engine! 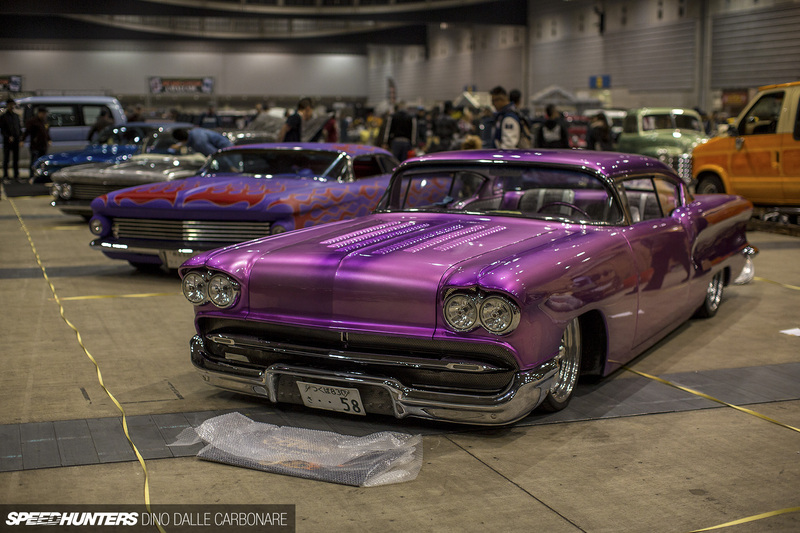 I always look forward to the Japanese domestic cars that are brought out to the Hot Rod Custom Show. 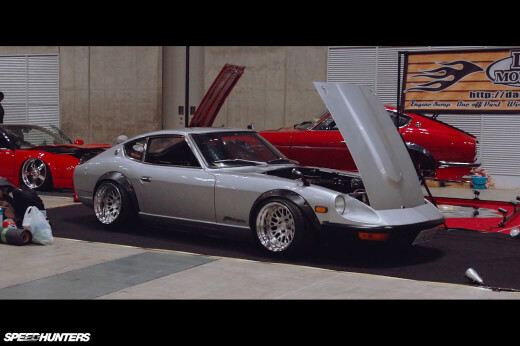 It’s interesting to see how some JDM chassis receive the custom treatment, or how their original beauty is simply enhanced with the right wheels, a decent static drop and the must-have bucktooth front lip spoiler. 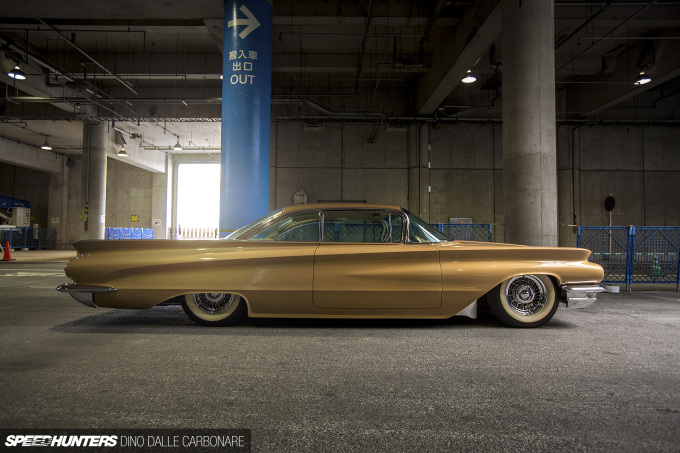 This butaketsu Laurel ticked all of those boxes – it just needs a respray. 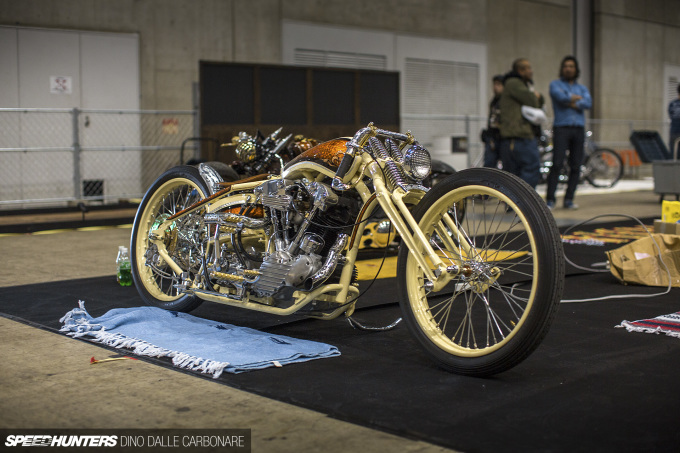 One aspect of the show I can’t possibly ignore is the creations of some of Japan’s most talented custom bike builders. 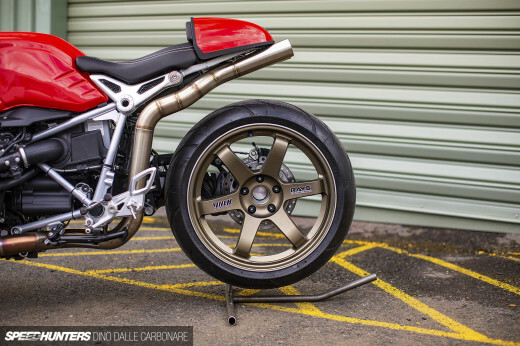 Around half of the show is dedicated to two-wheeled machinery, and this year I made a point of wandering around the motorcycle displays to see what really stood out. 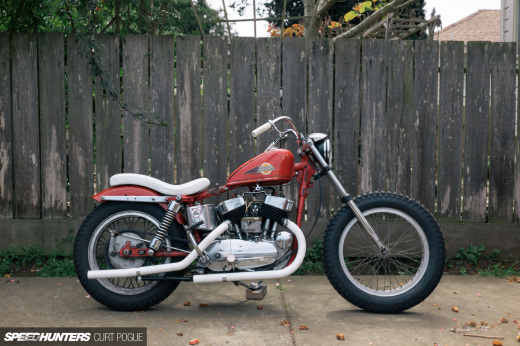 And I found everything from cool choppers to fully customized drag builds with turbocharged engines and single-side forks. 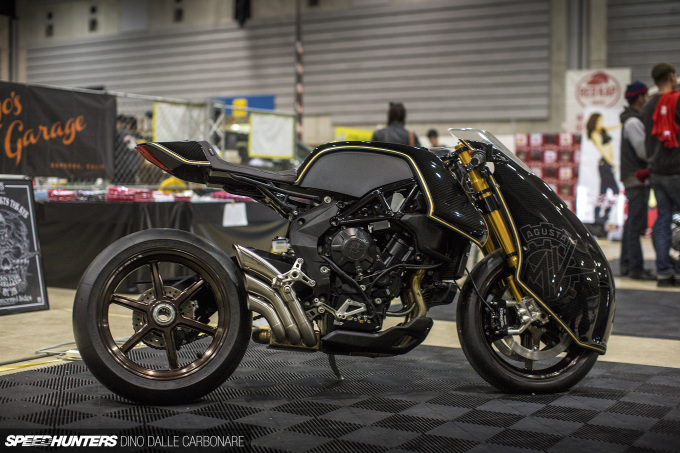 My favorite, however, was not a local build, but rather an MV Agusta Brutale 800 RR built by Rough Crafts in Taiwan, sporting a carbon fiber dustbin fairing and a great mix of old and new flavor. 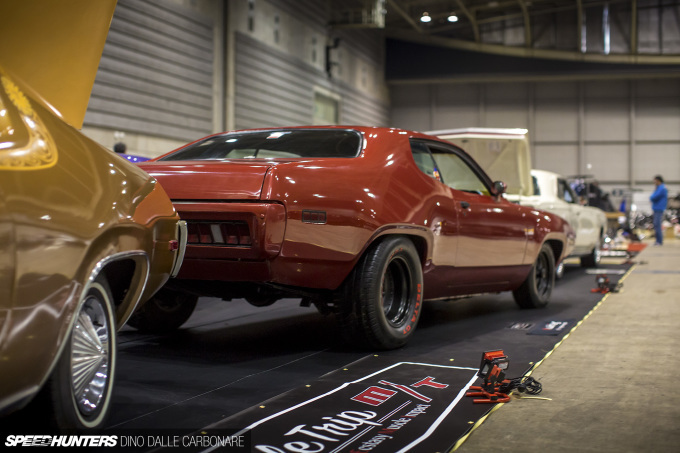 In the muscle car line-up I noticed that there were more period-correct looking machines than anything else, which was quite a contrast from last year’s show where resto-modded cars really stood out. Power is always on the agenda though! The entirety of my day was spent walking in and out of the hall, watching cars being unloaded off transporters and slowly make their way to pre-assigned display positions. I was impressed by what I saw rolling in too. 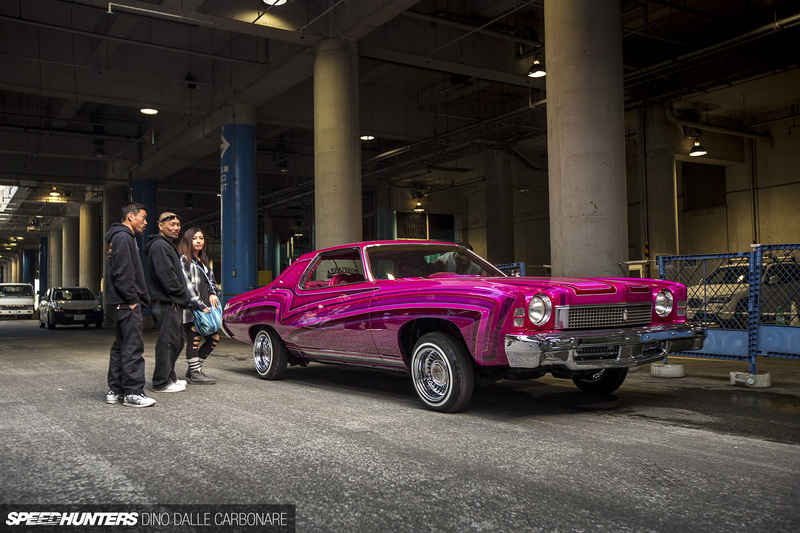 This lowrider was pretty adventurous on the paint side of things, but that was really only half of it. Now that’s a comfortable looking interior; plush velour covering literally everything and lounge chairs instead of regular seats! 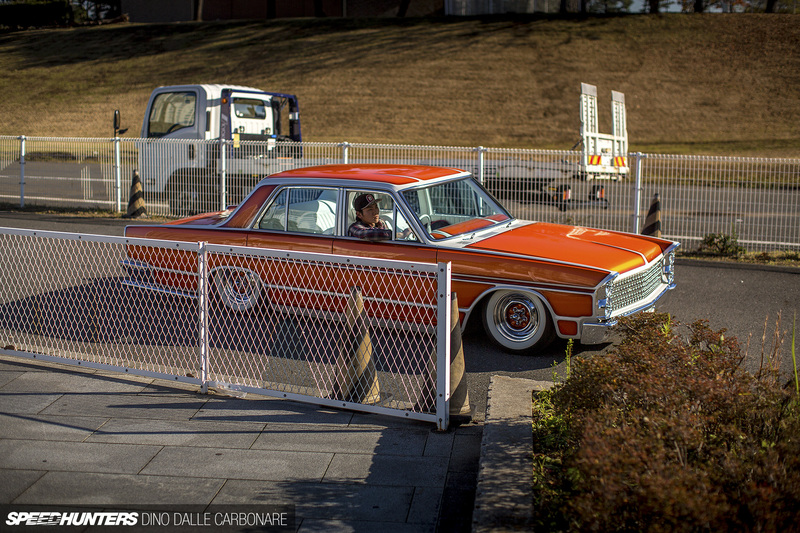 Remember the Hayabusa Ford Falcon that Mike featured a couple of years ago? Well, the same guys behind that car have created something very unique in this vehicle, and not just because it’s on BNR32 GT-R wheels. Do you want to see more of this thing? 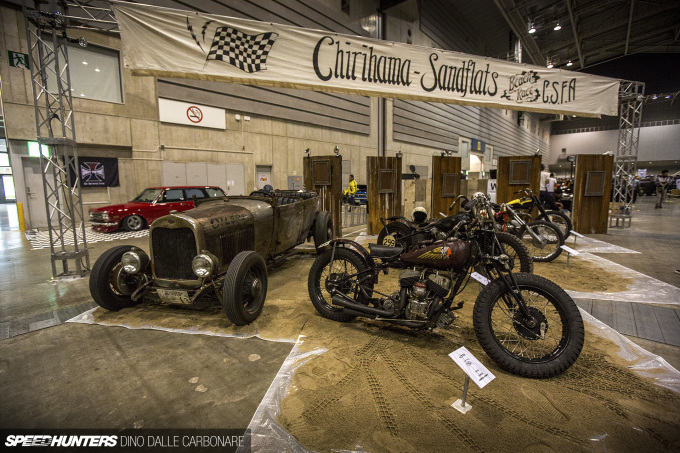 While the US has the Bonneville Salt Flats to unleash fast cars, Japan has the Chirihama Sand Flats, a flat beach in Toyama where a speed event is held every year. I’ve been hearing some cool things about this gathering of customs and hot rods, and the guys at Mooneyes showed me some awesome photography from it, so it’s definitely on the to-do list for next year. The organizers had this cool display set up, complete with sand borrowed from the actual beach. Not forgetting that Japan is the land of small, there were some cool little custom cars on display that I just have to share with you, starting off with the ‘Super Low 360′. This is a stretched and chopped Subaru 360 that resembles a wild mix between a van and a station wagon. 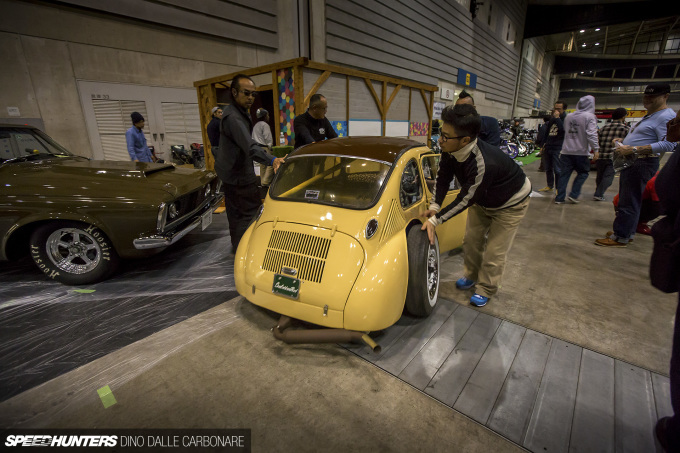 Not too far away was another 360 that’s had its front end chopped away and merged with that of Daihatsu Midget, which means it has a single wheel taking care of steering duties. 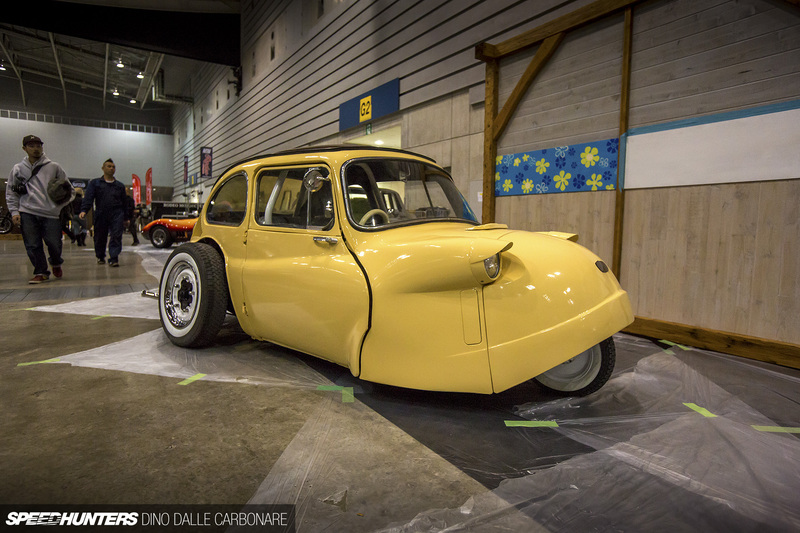 The rear end sports cut fenders and exposed wheels for what may well be the strangest 360-based conversion ever dreamed up. 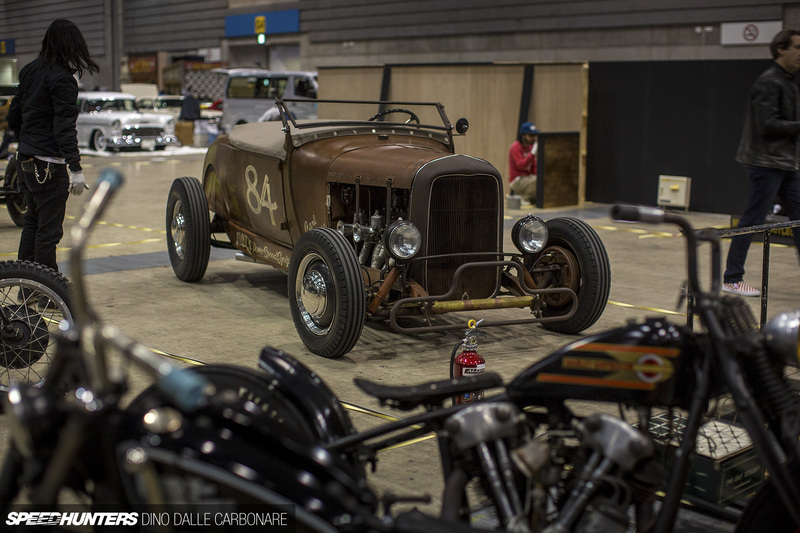 But that’s what the Hot Rod Custom Show is all about. For a quarter of a century it’s been pushing builders to turn their wild ideas into reality. I’ll be driving this point home with the spotlights I’ve got coming throughout the week, but until then I’d like to give a special thanks to Mooneyes for putting on this event. The guys really know how to throw a party and make everyone welcome! @dino I'm going to be in Tokyo the week of the 24th. Any recommendations on meets to visit and how to get there? I won't have a rental; just a JR Pass. 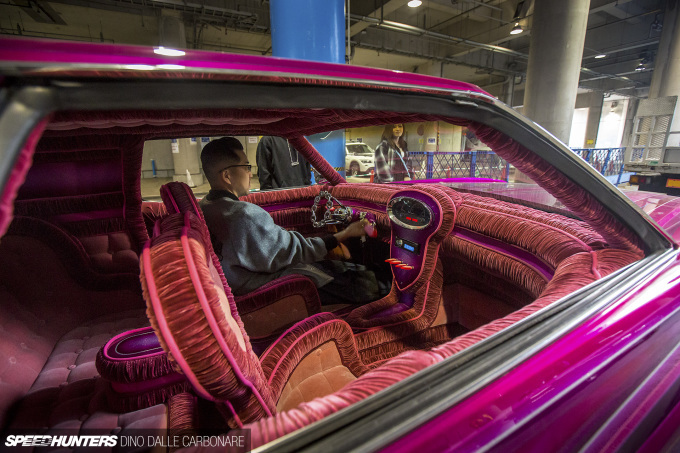 That plush interior was crazy even for lowrider standards! 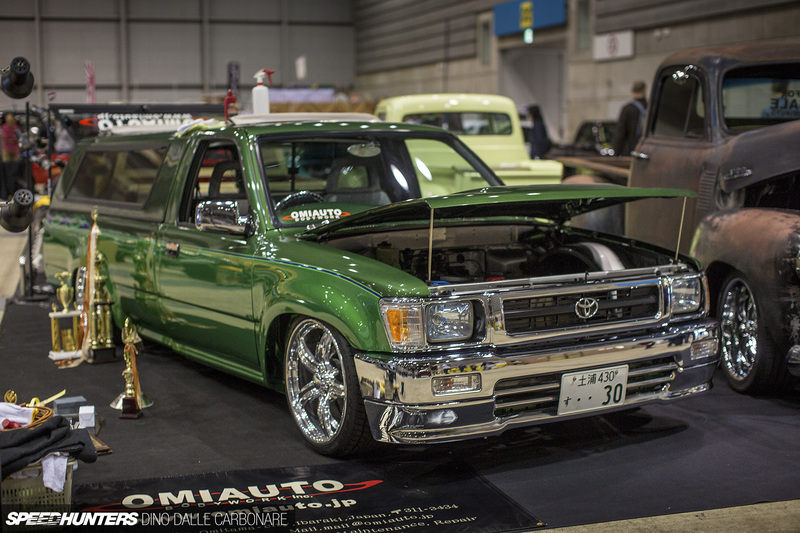 I'd love to see more of that mazda pickup. And of course, the HR build as well. JackScharr The green one? That's a Toyota. JH4DC321 Think there is something happening in Tsukuba, but it's a bit tough/expensive to get there with public transport. Colby O Yeah, same as R33 ones! Some old Detroit iron on R32 wheels? Something sneaky must be up. Show us more, please. Mitsuru Yeah, very difficult not to appreciate! Great spread after only seeing snippets on your fb feed. Custom artwork. Will it ever cross over to Jdm scene. We need more custom. 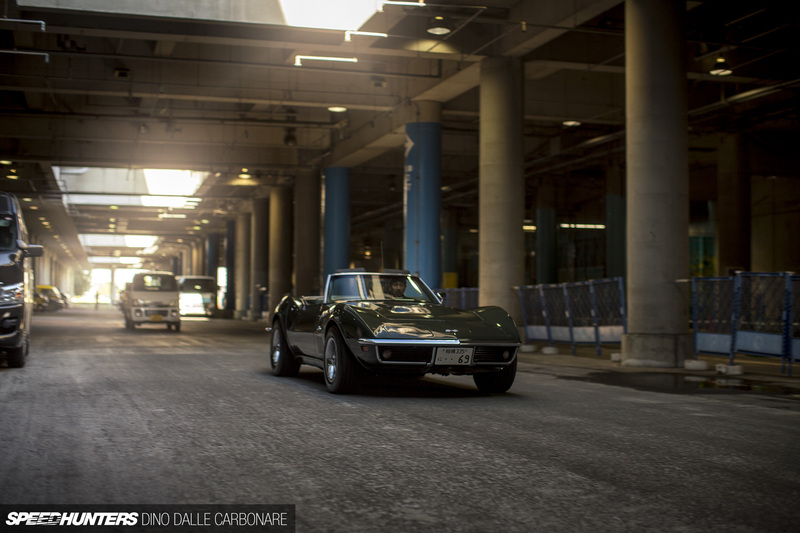 Dino, what American cars do Japanese desire the most? What is "the" car? 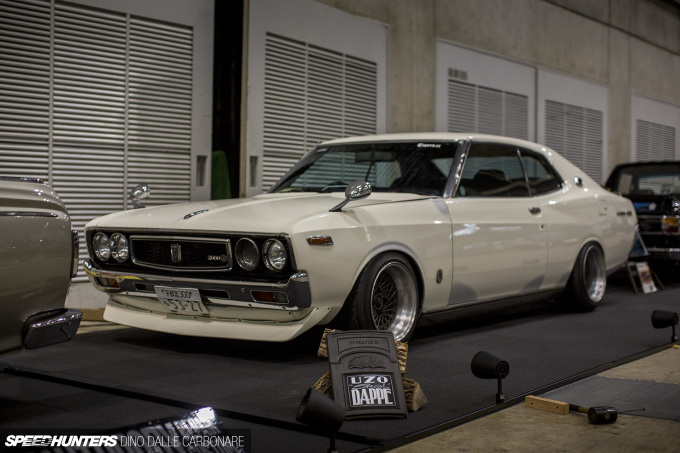 Love that chopped and slammed 360 wagon! Yes Dino... A nice big Spotlight on that '69 Dodge Dart please! speedhunters_dino JH4DC321 Nothing at the main night meet up spots? speedhunters_dino JH4DC321 When do they usually have meets there? speedhunters_dino Please do a spotlight on both hose 360's! they are just so looney and cool would love to see more of them! if U want to Get rich, in a few Days???? I don't know what that orange sedan is in the 3rd photo, but I'd love to see more of it! 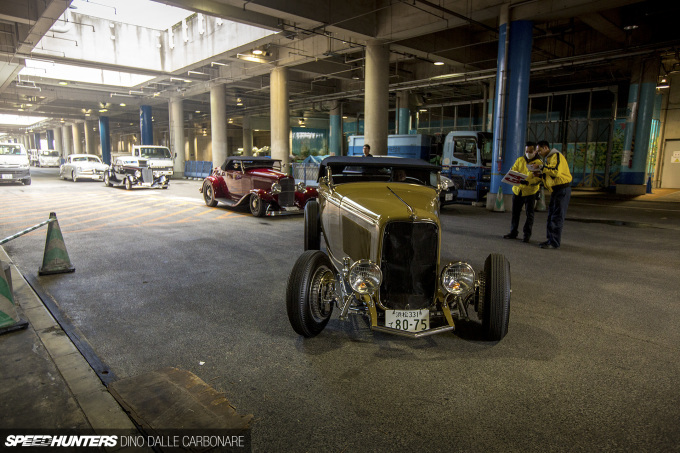 I've mostly become disillusioned with Japanese hot rods because a lot of what made it very authentic 15 years ago has all but disappeared - the internet has homogenized the scene. There are of course exceptionally unique cars still being build in Japan, as is true with most places where hot rod culture has taken root, but instead of looking back into the past and recreating 1950s hot rods with modern twists (which is very much what the Japanese scene looked like before the internet), now it's mostly just keeping up with the current trends. Which is why this article was full of beautiful cars that I've seen in one reincarnation or another here in California, and I began to yawn...Then I saw the Subaru 360 and the Diahatsu Midget! That's more like it! 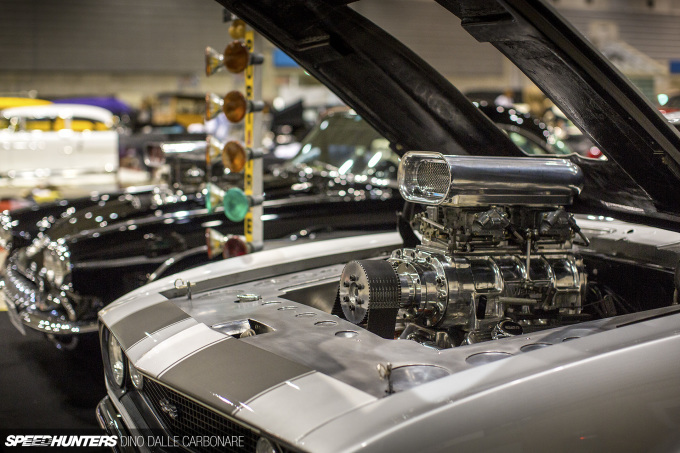 That Ranchero in the 2nd picture is an absolute beauty! 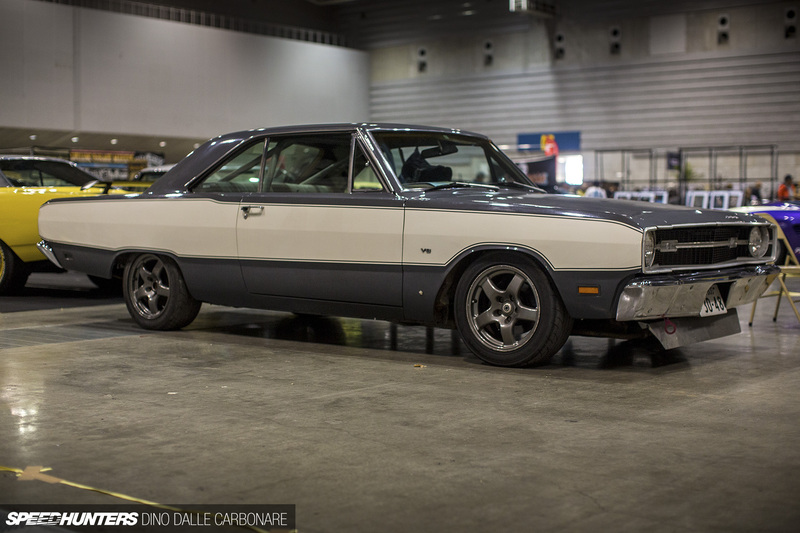 Ok who doesn't want to see a Dart GTR?? Great pictures of a great show!